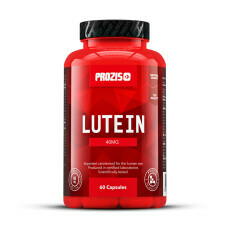 Lutein belongs to the carotenoid family, acting therefore as a natural antioxidant. This compound is not synthesized by the body and can be obtained from the following food sources: spinach, broccoli, cauliflower, orange, kiwi, grapes, corn and egg yolk. This carotenoid has a special bond with the eye's macula and retina, where it is stored.